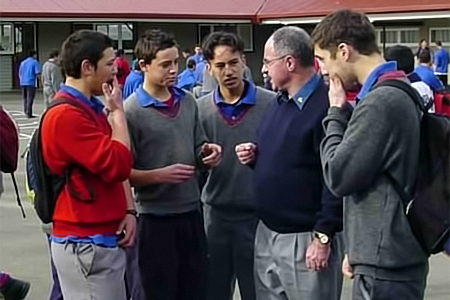 Fr Chris Martin chats with the students in the yard at Hato Paora College. Ask any Catholic what a priest does…and they’ll say that he is the one who offers Mass and leads the people in this celebration. In a way, he stands at the meeting point between God and God’s people. A priest has a vital role in the life and mission of the Church… on behalf of Christ and on behalf of the people. To be a Marist priest, is to bring a certain preference, a certain style, a certain approach to this sacred role.